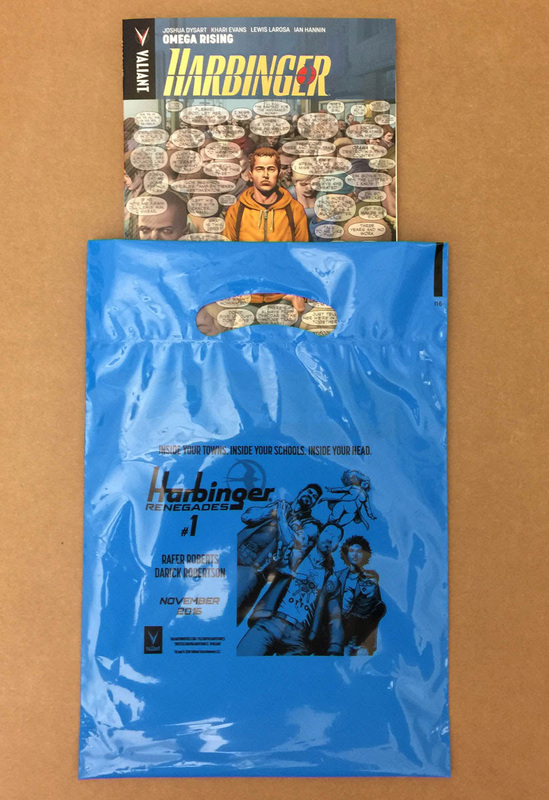 Standees, Posters, Sales Bags, and More! 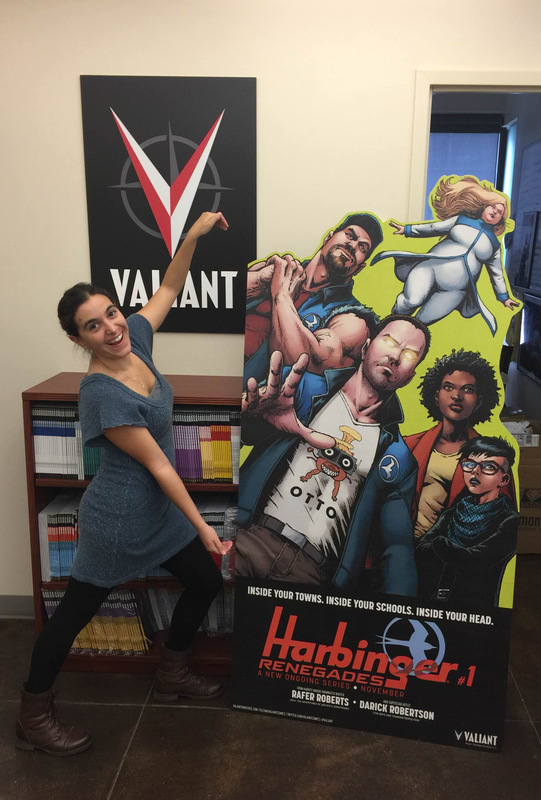 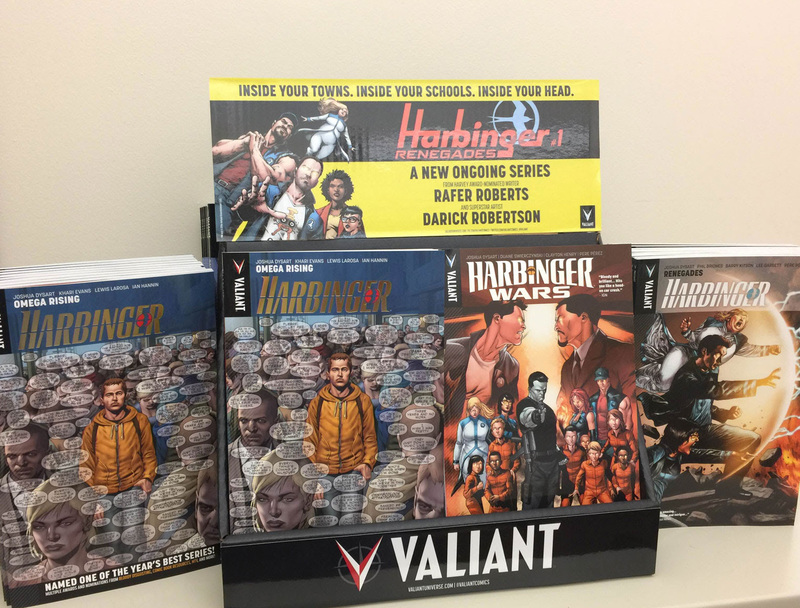 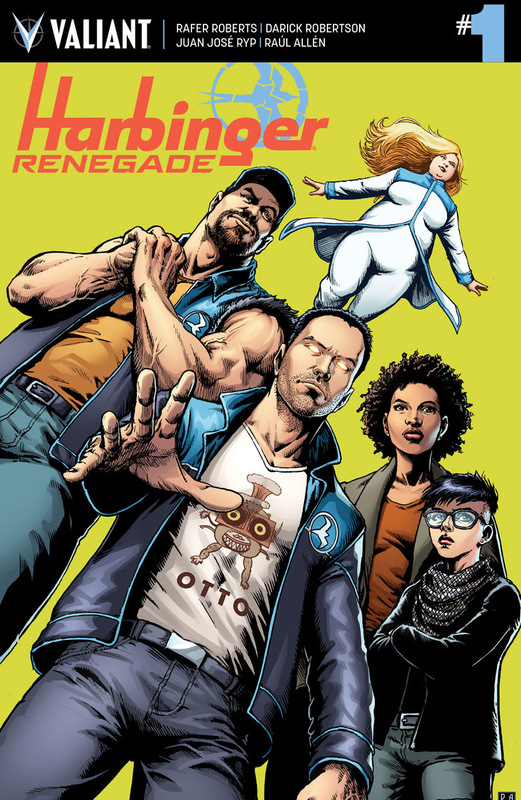 Plus: Beginning with HARBINGER RENEGADE #1, Valiant is offering fans the chance for an advance insight into the conflagration that’s coming with HARBINGER WARS 2 #0 – an exclusive, limited-edition Valiant zero issue that can only be obtained by redeeming mail-away coupons included inHARBINGER RENEGADE #1-4! 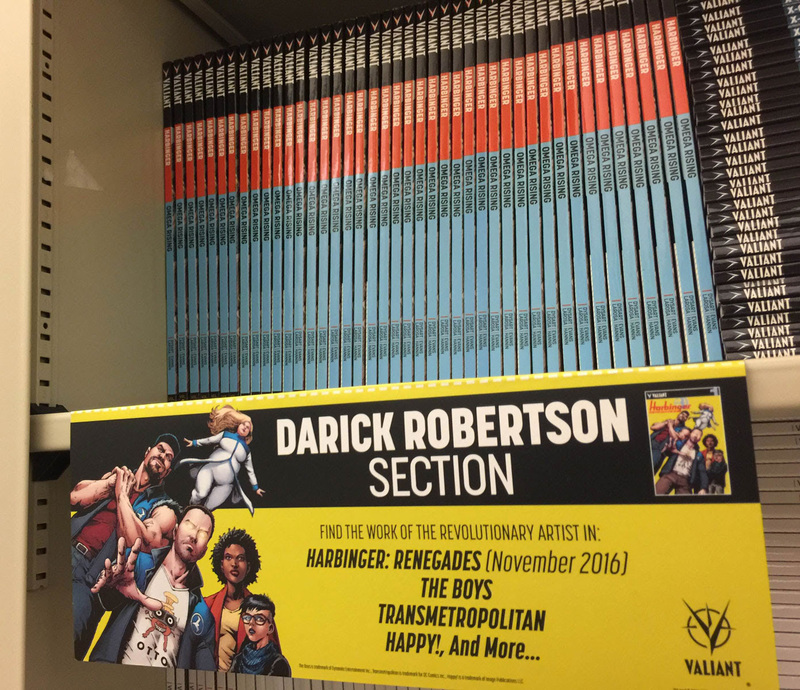 Featuring a can't-miss prelude to the landmark comic event of 2018 that cannot be obtained anywhere else, readers simply have to clip and ship their detachable coupons to receive this one-of-a-kind, advance chapter torn from the future of the Valiant Universe! 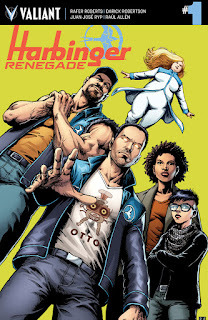 Look for full participation guidelines for redeeming your copy of HARBINGER WARS 2 #0 in the pages of HARBINGER RENEGADE #1, on sale November 16th in comic shops everywhere. 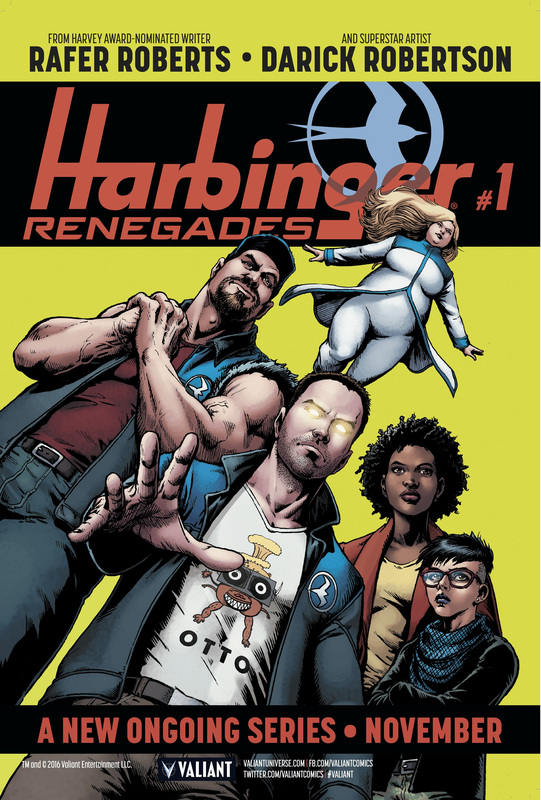 with a mind-blowing new beginning, only in HARBINGER RENEGADE #1... And make sure your comic shop is prepared by stocking up on these must-have promotional items available for retailers and fans everywhere!